Maryland has incredibly hot and humid summers with brutal winters. The contrast between seasons is actually pretty astonishing. Although I'm always eager to wear "fall" clothing in September, I have to remind myself that I'll be wearing said clothing until April! Everyone at school always comments about how colorful I am all winter. 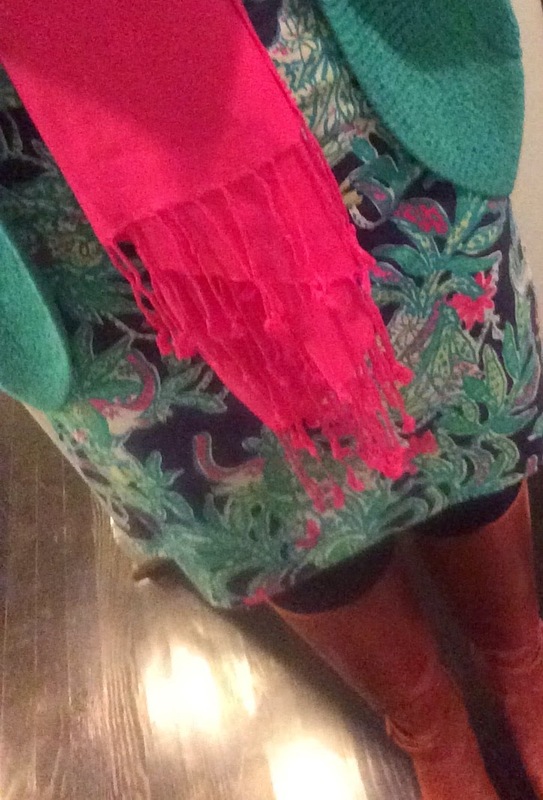 Although Lilly Pulitzer does not have a large fall collection, I always manage to wear my fall Lilly in the winter. For the past few years, Lilly Pulitzer has not had what I would consider to be a "winter" collection. Apart from a few cashmere sweaters, the majority of the clothing seems more suitable for a Florida winter than a brutal Maryland winter. I miss the embroidered corduroy, wool coats, and cold-weather clothing from older Lilly Pulitzer catalogs. 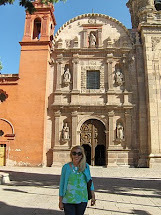 It's very difficult to survive below freezing temperatures in a t-shirt dress, even if it does have long sleeves! I just add a few layers to my fall clothing to stay warm. I fell in love with the Marlowe dress as soon as it was released in the Bright Navy Trunk Show print. I sized up to a medium in this dress and feel much better about the fit because while it is a flattering dress, it does hug your curves. I paired the adorable t-shirt dress with a hot pink scarf that matched the print perfectly and topped it off with an Amalie cardigan that I picked up during the After Party Sale. Fleece lined tights save me during the winter, too! Today one of my students rocked some fantastic looking Lilly. She wore the Corine dress in Sea Oat with chocolate brown tights, boots, and a vest. 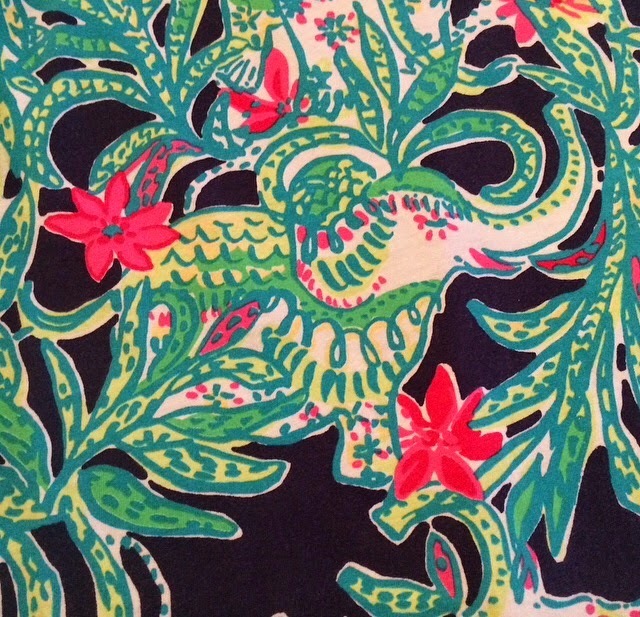 I love it when I see students at my school wearing Lilly Pulitzer. How do you wear your Lilly in the winter?